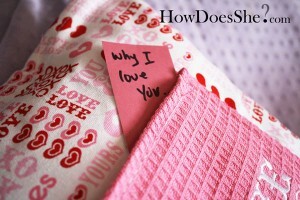 Create some family or marriage traditions with a Valentine’s Day Countdown. While some may say Valentine’s Day is a saccharine holiday, these tutorials show creative ways to add meaning and fun for your loved ones. Best part is that you make it yourself! Use a Silhouette cutting machine to cut letters or buy store-bought letters to make this custom-made chocolate kisses holder to Countdown to Kisses this Valentine’s Day. 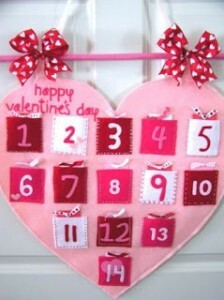 Sew a sweet Felt Valentine’s Heart Countdown. Fill the pockets with sweets or notes. 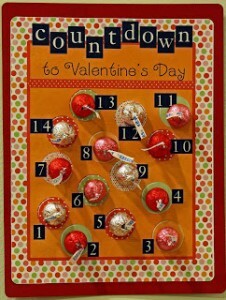 Just print and attach candy with glue dots to this Circles Valentine Countdown. Choose a pink or neutral version. 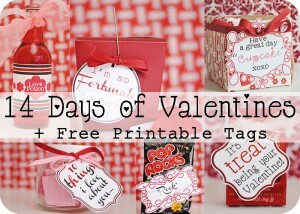 Fourteen Days of Valentines with fun printable tags and cute gift ideas for our Dear Husbands. Uncover a fun activity each day with this Scratch-Off Valentine’s Countdown. Never made homemade scratch-offs? 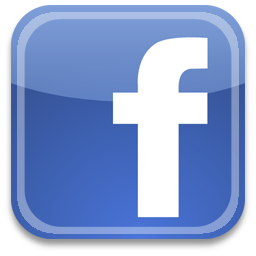 Try it – they’re fun. 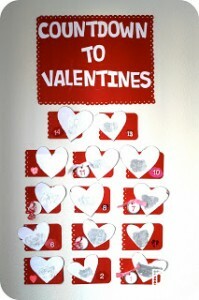 Little ones can practice their fine motor skills while counting down with this Buttoned-Up Valentine’s Countdown. 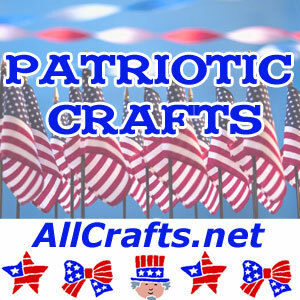 Make it on your sewing machine or sew it by hand. 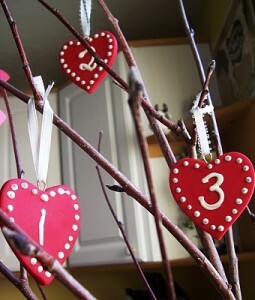 The whole family will treasure this Valentine Calendar Tree. This year, everyone can help make the clay heart ornaments. Pick a different activity each day from this 14 Acts of Love Bouquet. So many ways to show kindness to others! 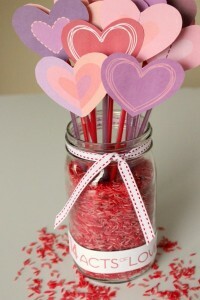 Find these and more Valentine’s Crafts to enjoy together while creating fun memories for your family and friends.